The Foundation embarked on a campaign to raise funding for Christmas hampers that would benefit disadvantaged communities. 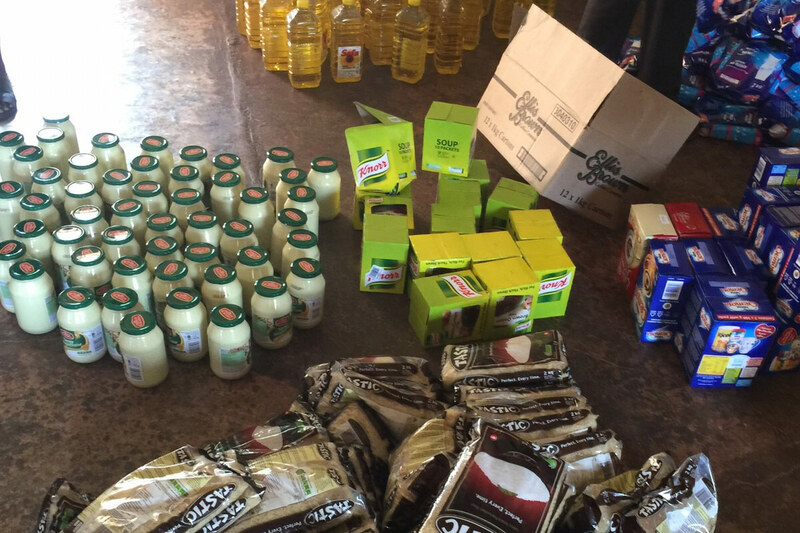 These hampers consisted of non-perishable items such as mealie meals, baked beans, tinned fish, mayonnaise etc.Through the campaign, which was run through various media platforms (Foundation website, Facebook, invitations to donors, etc. ), the public was invited to participate by either donating funds or various non-perishable goods. We are pleased to report that in both years the initiative has benefited 200 families from Clara Village in Mpumalanga and Bhungeni Village in Limpopo. This initiative holds true to the Foundation’s vision tobe a credible game changer in eradicating poverty through uplifting our communities and creating a better future for all. The GladAfrica Foundation Trust would like to thank each and every person who participated in this initiative and made this initiative a success. We truly could not have done it without you opening your hearts to those less disadvantaged. This initiative has given them HOPE to persevere and look forward to having a positive outlook in life. As to some they have never received a gift or were not sure what they would have for Christmas but through your contribution this was a success yet again.